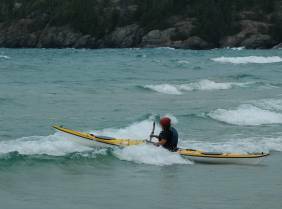 Learn to surf waves and paddle bumpy water at the mouth of the mighty Michipicoten River adjacent to Lake Superior. We’ll tailor the session according to your skills and the conditions. 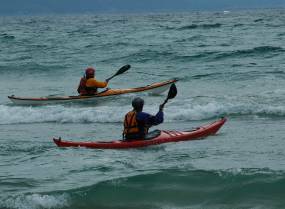 Skills include rough water and surf safety and rescue, currents, forward, back and side surfing, even enders! $95 for 1st person and $45 for each additional person. Includes helmet. Kayak rental additional. 3 hours, subject to conditions. Call ahead to make reservations.